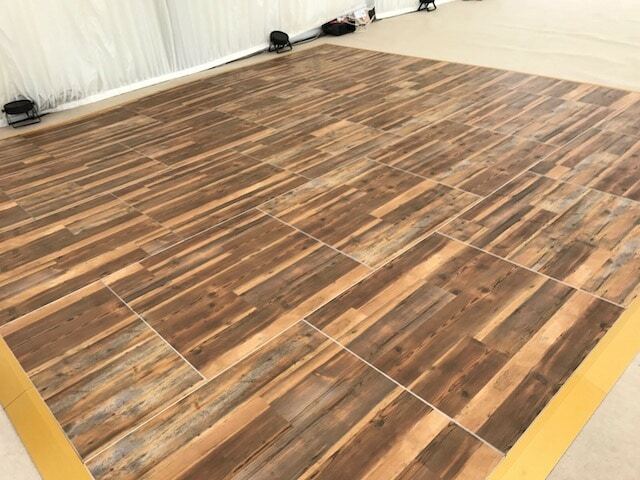 Add glamour and style to your day with our Wooden Dance Floor it is perfect for both wedding receptions and corporate events and look idea with our rustic range of letters and Parquet Wooden Dance Floor combination. All of our Parquet Wood dance floors use a special locking system, which ensures that pieces don’t come loose during use. Because of the design of the floor it can be arranged in both a square and rectangular shape. This makes it perfect to use as a dance floor, catwalk for a fashion show or as a walkway for a civil ceremony or awards night. 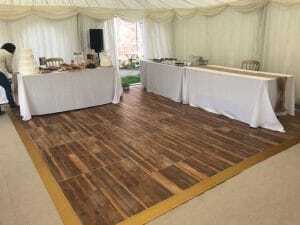 Wedding Venue Lighting’s wooden dance floors are machine polished before each hire to give you that important high quality finished touch to your event. The dance floors creates a beautiful finishing touch to any event. When you capture that important first dance photo on a Wedding Venue Lighting parquet wooden dance floor, it will give you that perfect moment, that you can look back and cherish forever. A priceless memory of your special day! 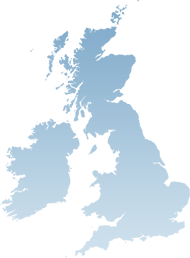 Rest assured we provide our own staff, vans and products, and require no middle man so you can be sure we will arrive punctually for your occasion. Our fully trained staff will deliver, set up and remove the Wooden dance floor away afterwards so you don’t have to worry about a thing. During installation we will also fit polished aluminium edging so that your guests can step on and off with ease.